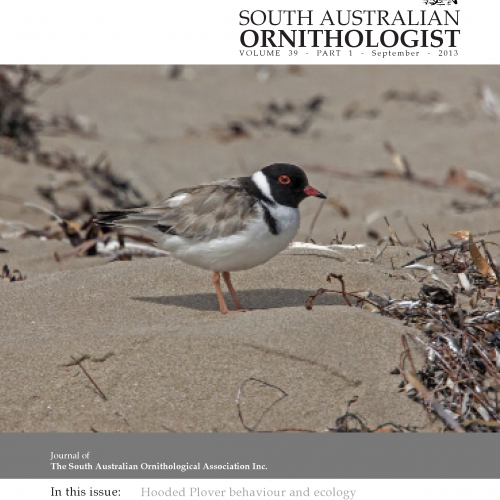 You must be a Birds SA member to view this page. Please log in or become a member to continue. 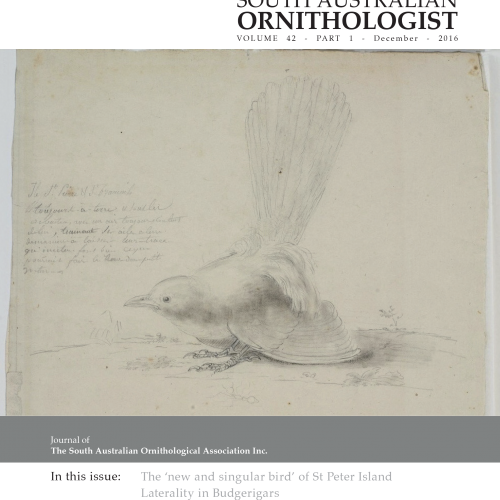 Volume 42, Part 1, December 2016 Contents The ‘new and singular bird’ of St Peter Island Andrew Black, Jean Fornasiero, Justin Jansen and Philippa Horton. pp. 1-10. Investigating laterality in the freely occurring behaviours of Budgerigars Michael R. Duggan, Daniel P. Buckley and Matthew J. Anderson. pp. 11-19. Bird Note Listing Australia’s birds Andrew Black and Philippa Horton. pp. 20-22. Bird Note Great Egret preying on an Australian Reed Warbler Penny Paton. pp. 23-24. Bird Note A second observation of an Australian Magpie feeding on pine seeds Penny Paton. p…. Volume 40, Part 1. 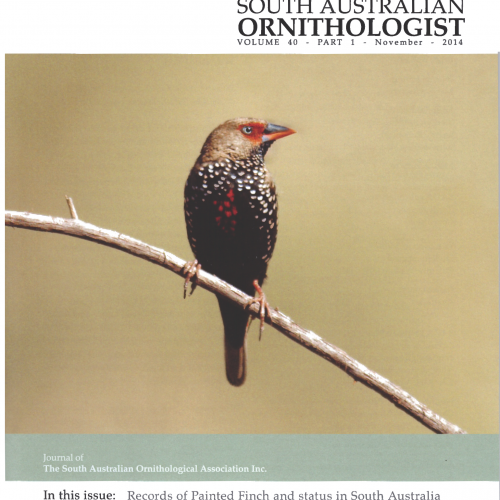 November 2014 Contents Early records of the Painted Finch, Emblema pictum Gould, 1942 and a review of its status in South Australia Andrew Black and Philippa Horton. pp. 1-10. Breeding behaviour and prey of Black Falcons, Falco subniger, including food-caching D. Charley, H. Lutter and S.J.S. Debus. pp. 11-30. 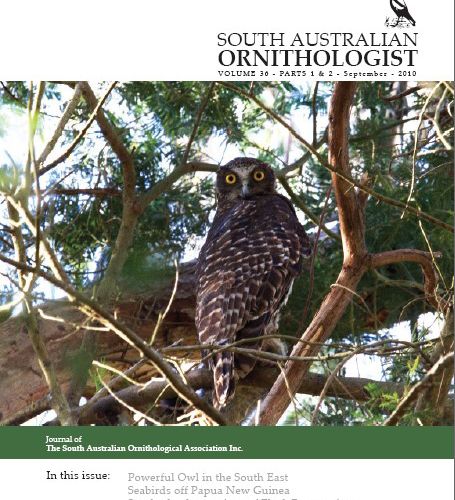 Bird notes A recent record of Osprey nesting in mangroves in South Australia T.E. Dennis and A.V. Brooks. pp. 31-33. Black-tailed Nativehen roosting behaviour at Paiwalla Wetland Peter Koch. pp. 34-35. 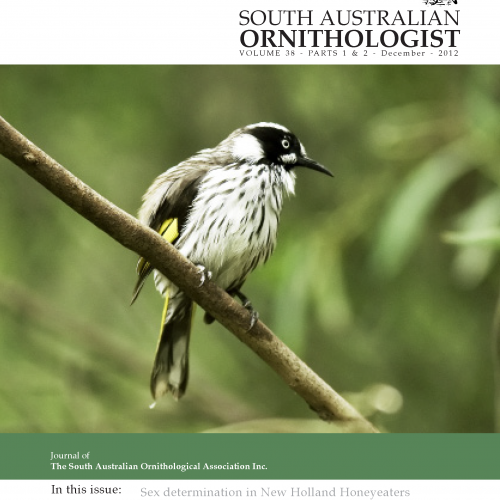 The White-plumed Honeyeater on Eyre Peninsula G…. Volume 37, Part 1. 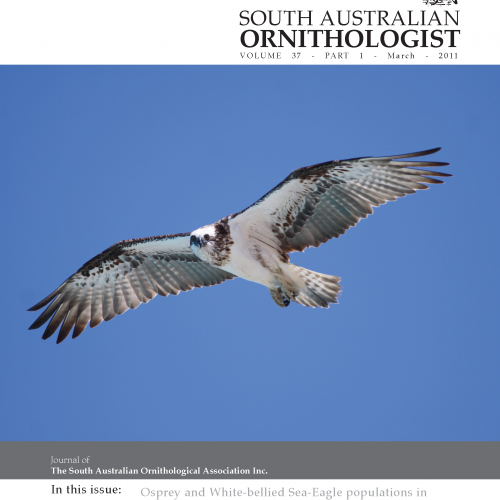 March 2011 Contents Distribution and status of White-bellied Sea-Eagle, Haliaeetus leucogaster, and Eastern Osprey, Pandion cristatus, populations in South Australia T.E. Dennis, S.A. Detmar; A.V. Brooks and H.M. Dennis. pp. 1-16. 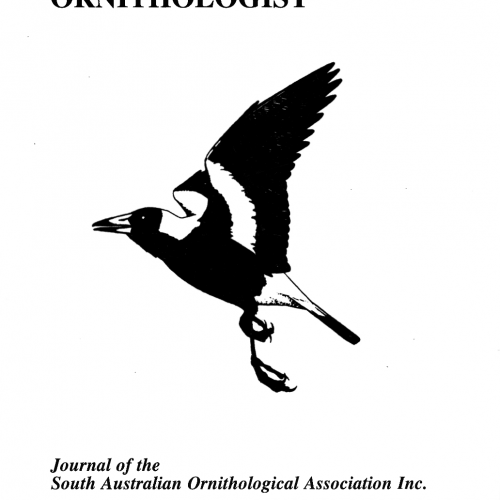 Birds of the Para Wirra Recreation Park, and some comparisons over forty years Frank Day. pp. 17-31. Bird report 2009 Colin Rogers. pp. 32-42. 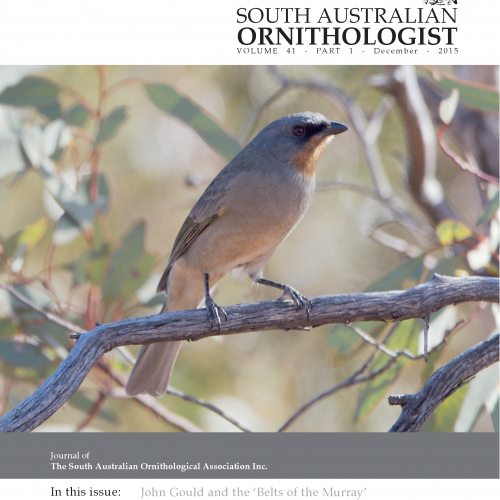 Bird notes Sallying behaviour by Varied Sittella Robert Green. pp. 43-44. Book reviews Parrots of the world. Joseph M. Forshaw and Frank Knight reviewed by Leo Joseph….